This is one of the most skilfully plotted traditional Cold War thrillers I have read in recent years, and as we are effortlessly transported between the harsh, concrete world of East Berlin, and the verdant peace of rural England, Grimwood moves between past and present, laying false clues and leading us as much as Fox himself down blind alleyways, with a trail of misinformation and double crossing galore. Grimwood, similarly in his fantasy oeuvre, is an extremely visual writer, and not without reason I was reminded strikingly of those classic black and white spy films, as Fox navigates his way around this hostile environment. The sheer poverty, and unrelenting grind of life in this communist enclave is front and centre, and by extension what people will do to escape its iron grip. People are fearful and mistrustful, and Grimwood depicts beautifully how Fox seeks to circumvent this pall of suspicion and fear to prove his innocence, and to catch a ruthless killer. I get the sense that it was with some glee that Grimwood delights in not only constructing a disparate, interesting and slightly damaged characters, but also that he so brilliantly masks those that are treacherous and self serving so well. Without exception, each character is precisely drawn and tangible in their thoughts and motivations for their actions: in what they reveal and what they conceal. 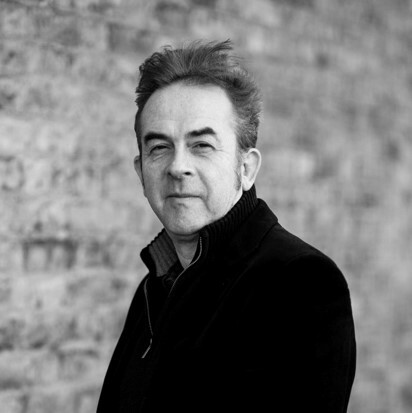 In the grand tradition of Le Carre, Ambler, and Deighton, Grimwood tricks and feints the reader, but never to the detriment of the sheer believability of the narrative itself. I was genuinely absorbed and loved the web of reveals and surprises that Grimwood so effortlessly introduces into this seriously gripping thriller. 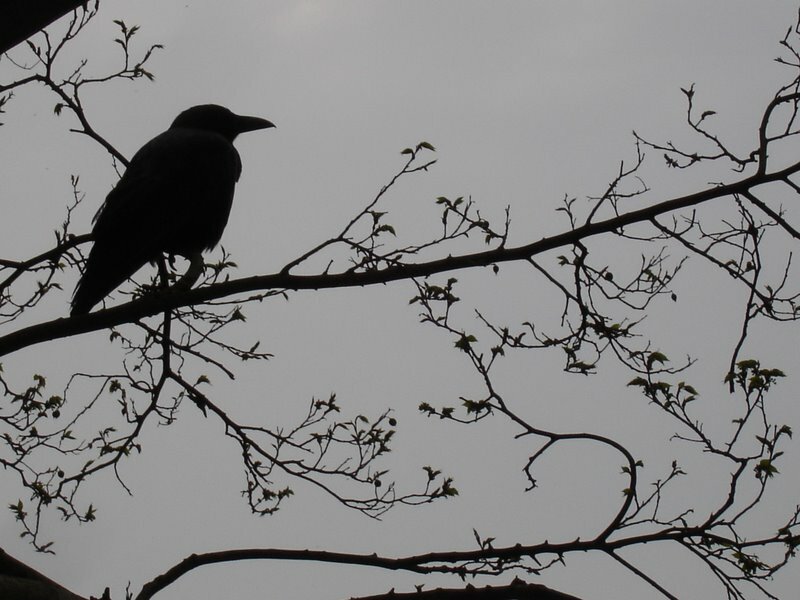 There is a pace and tense nervous energy to the narrative that urges the reader on, and yet a subtle slowing of pace in some of the most nerve shredding scenes that provide a much more unsettling effect on the reader. 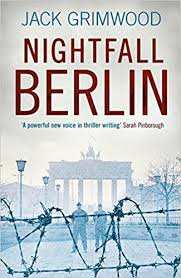 Grimwood handles all aspects of this book with a deft touch from setting, to characterisation, to pace, to the plot itself, and if you love a twisty, cerebral Cold War thriller as much as I do, I would definitely recommend that you seek out Nightfall Berlin. Duplicitous spies, and conniving Russians seems oddly prescient at the moment… Highly recommended. The Wall is the symbol of all that was bad about East Germany – even though its construction in 1961 had a horrible logic: the GDR’s leaders needed somehow to stem the brain drain from their tiny eastern bloc country into the west. This memorial is sited in Bernauer Strasse – split between east and west in August 1961 – where people jumped out of apartment block windows to try to escape. You can read the harrowing stories of those shot dead in their attempts to flee in a portion of no man’s land that’s been retained, along with an original section of wall and reconstructed watchtower. The opening scene of Stasi Child takes place in St Elisabeth’s Cemetery, adjacent to the memorial. Internal security in the GDR was the preserve of the Ministry for State Security, more commonly known as the Stasi, and this memorial is site of the main Stasi prison. It’s largely unchanged, surrounded by a barbed wire-topped wall and watchtowers. A visit here is an incredibly moving experience: the guides are usually either former inmates, or relatives of former inmates, with their own personal horror stories of what falling foul of the GDR regime meant. The prison features in the Oscar-winning film The Lives of Others (and also in Stasi Child). 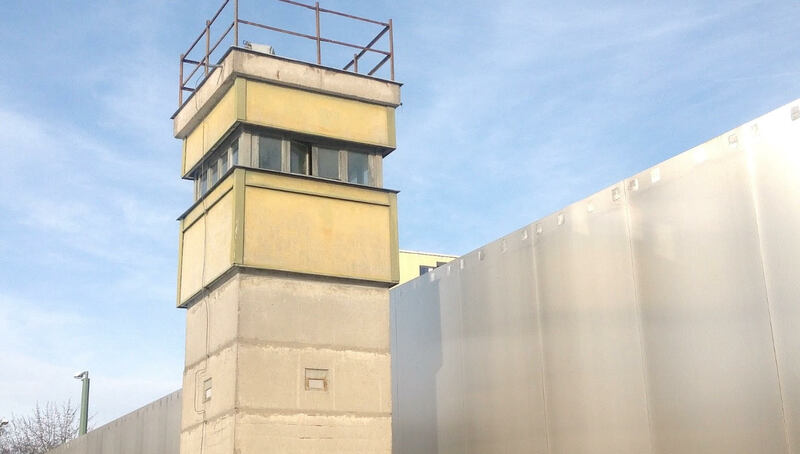 If you’re short on time in Berlin, then Hohenschönhausen is a better bet than the former Stasi HQ at Normannenstrasse, though the latter has its highlights (such as a chance to spy on Stasi head Erich Mielke’s private bathroom). This is a relatively new museum housed in a former brewery off Schönhauser Allee in the Prenzlauer Berg district – is for me the pick of several in eastern Berlin that seek to depict everyday life in the former GDR (although those in the Palace of Tears – the former border crossing at Friedrichstrasse station – and the privately-run DDR Museum, where you can take a virtual drive in a Trabi, are also well worth visiting). You get a real flavour of day-to-day existence, and it wasn’t all bad. 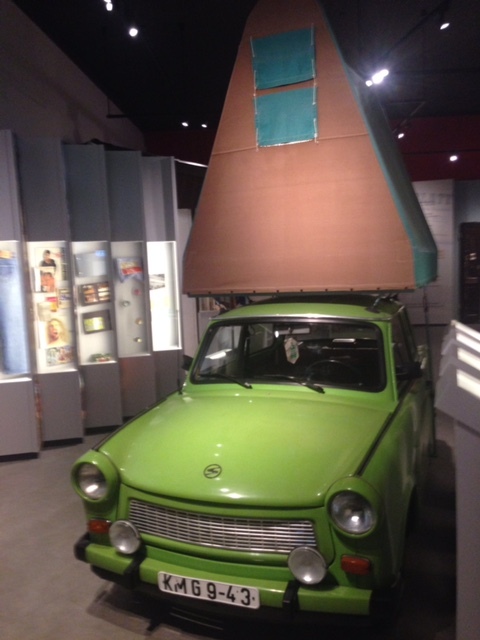 In fact, those who didn’t fall foul of the Stasi had one of the highest standards of living in the eastern bloc. Childcare facilities, welfare, job security, food prices – all put the west to shame, especially in the 1970s when Stasi Child is set, when Britain was riddled with three-day weeks, strikes and an oil crisis. Don’t miss the wonderful letters from schoolchildren imagining what a future GDR might be like. Some who brave the seventeen-kilometre drive or U-bahn ride out to this Berlin suburb might be disappointed by the Museumswohnung, but for me it was an unforgettable experience. Only open on Sundays, or by appointment, it’s a former East Berlin flat preserved as a time capsule: nothing more, nothing less. You’ve got all the original furniture, kitchen equipment, books and electrical gadgets. 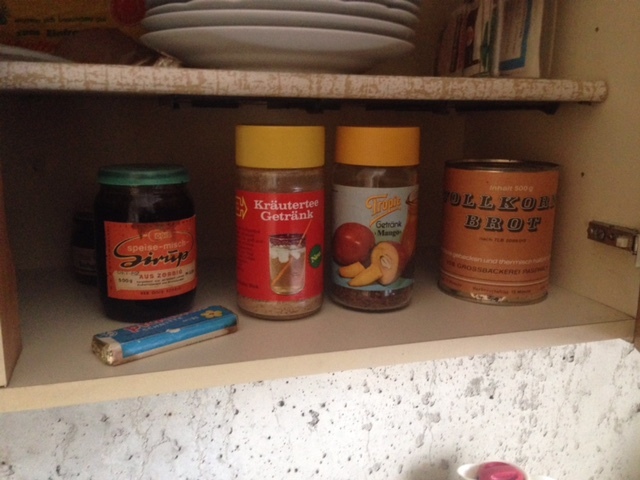 There are smaller displays in the DDR museum or Kulturbrauerei – but this is the real thing, housed in a typical – albeit modernised – GDR concrete slab apartment estate. Not strictly speaking Berlin, but some thirty kilometres to the north, this ‘forest settlement’ is well worth a trip in a hire car. This was where East Germany’s leaders lived, in comparative – but not ostentatious – luxury. 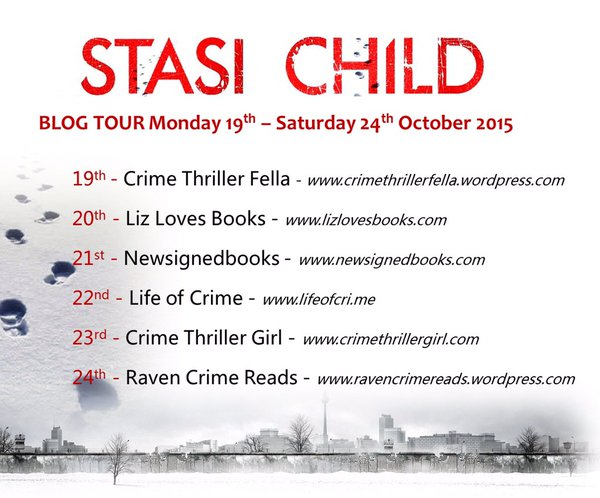 In Stasi Child, it’s the setting where my People’s Police detective, Karin Müller, finally learns from her Stasi ‘handler’ what her case has all been about. 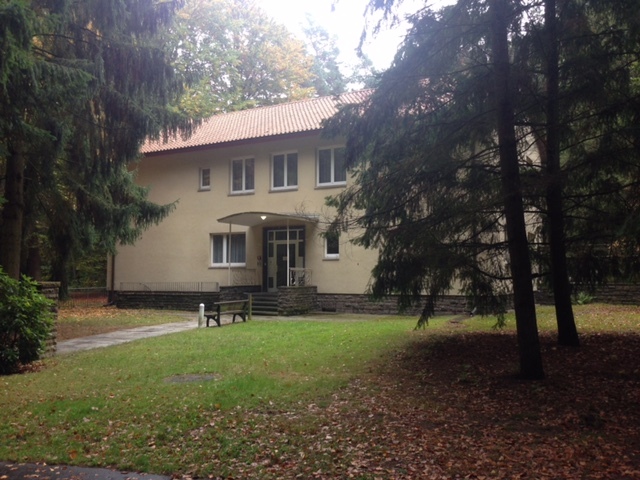 It’s now a sanatorium, but in GDR-times was a well-guarded, gated estate. You can either take a guided tour on a road train, or wander round yourself, discovering the former houses of the two Erichs – Honecker and Mielke. Ironically, Mielke’s former home is considerably bigger – but both would be considered fairly modest by western standards. Constructed around three contrasting narrative viewpoints, the book takes place in 1970’s East Berlin, with the famed wall firmly in place, and the contrast between life either side of it strongly in evidence throughout. A young girl’s body is discovered close to the wall, with the general consensus being that she has taken the unusual step of fleeing from the West to the East, unlike most of her contemporaries. However, as Oberleutnant Karin Müller ( the only female head of a murder squad in the Deutsche Demokratische Republic) and her infuriatingly charming sidekick, Unterleutnant Werner Tilsner investigate further, they come to realise that much darker dealings are afoot. With their every move being monitored by a representative of the Stasi, fundamentally manipulating their remit in the investigation, and Müller’s husband Gottfried also attracting the unwanted attention of the secret police, there is much subterfuge to be undertaken, and angst to be had, by Müller along the way. Additionally, Young incorporates a seemingly unrelated plot involving the restrictive and harsh conditions experienced by a group of youngsters in a notorious ‘Jugendwerkhof‘, ostensibly a home for less well disciplined, or rootless, youngsters to be indoctrinated in the ways of the State. As all three narratives wend their way towards each other, the depth of corruption, control, and conspiracy within this closed society become all too clear. If, like me, you have enjoyed the Soviet-based crime fiction of authors such as Martin Cruz Smith, William Ryan, Tom Rob Smith or Sam Eastland, this will prove itself an absolute must read. Like the aforementioned authors, Young perfectly captures the socio-political atmosphere of a society in the grasp of a suffocating control of the state apparatus. The fear, suspicion and deprivation encountered by not only Müller and her team and the youngsters at the Jugendwerkhof, but also that of ordinary citizens, is incredibly well depicted, and Young provides an unflinching gaze on the workings of this closed society. He carefully balances the seeming utopia of life beyond the wall in the West, with the harsh and stringent regime of the East, which makes the plight of these citizens all the more affecting as the story progresses. Having only accrued knowledge of this location and period in German history from non-fiction and celluloid representations, it was entirely satisfying to see how well Young crafted the pertinent details into his fictional representation. Ably supported by an engrossing plot, with its varying strands and well-structured premise, this wasn’t just a linear crime thriller, which again added to the satisfaction of this reader. Likewise, Young’s grasp of effective characterisation was a real bonus. Müller herself was an entirely empathetic and believable protagonist, balancing the problems of her gender, with the importance of her position in the police, and the nefarious individuals seeking to derail and influence her investigation. The interplay between her and Tilsner, both on a personal and professional level, always overshadowed by the demands of her loyalty to her husband, was a real hook throughout, and added a nice frisson to the general gloom and sadness that infuses the story. The character of Oberstleutnant Karl Jager, as a representative of the Stasi was also nicely weighted within the plot, with his shadowy influence and mercurial nature, providing an intriguing and slightly sinister air to the whole affair, in his dealings with Müller and Tilsner. Similarly to Tom Callaghan’s debut earlier this year, The Killing Winter, set in Kyrgyzstan, it was extremely satisfying to read a book located in a largely unexplored society, within the crime fiction genre. Young has more than proved that his name will be one to watch in the future with this powerful, well-researched and intriguing thriller. A highly recommended debut. 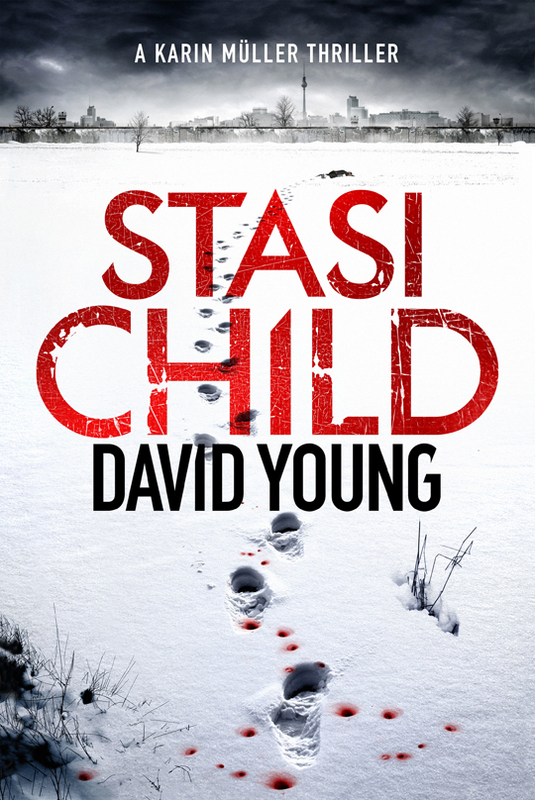 Stasi Child by David Young is out now in ebook. The Paperback will follow in February 2016.